The War of Hilary Rosen is already effectively over, and the Romney campaign won it. Yesterday, in her capacity as a usually-ignorable CNN talking head,* Rosen took umbrage at the role Ann Romney was playing in her husband’s campaign. “His wife has never actually worked a day in her life,” she said. Ruth Marcus, whose take on the story is only slightly spoiled by her own friendship with Rosen, explains why clutching pearls and condemning the pundit is the wrong response. 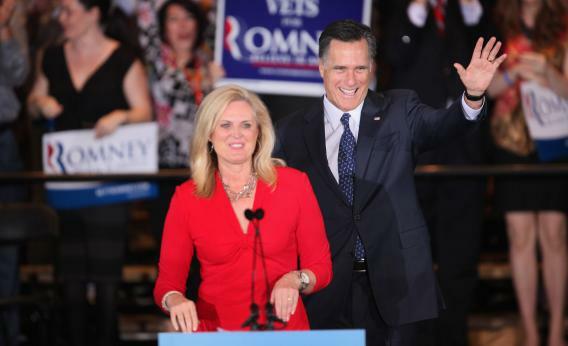 Rosen’s fundamental point — that Ann Romney’s experience is far from typical, that she has not grappled with the economic and family issues that face many women today — remains true. You don’t have to be a combatant on either side of the Mommy Wars to recognize that Ann Romney’s privileged life experience is not typical. She’s never had to worry about the price of a gallon of gas as she filled up the Cadillacs. She is at the tail end of a generation that did not agonize over the choice of whether to stay home with the kids and from an economic platform that gave her the luxury of making that choice. But even the best defense of Rosen is a discussion of Ann Romney, and not the underlying economics that the Obama campaign wants to talk about. And this is where presidential campaigns differ from other sorts of campaigns. In a pretty fantastic 2007 story, Jodi Kantor explained, quite bluntly, that Ann Romney had struggled to connect with people (in her husband’s first race, she talked about her successful weight loss!) and became very well aware of the sort of stigma that comes with being the home-making wife of a rich man. She got better at it, but she kept up a lifestyle that few people can relate to. These details can be joked about in a primary, or a governor’s race. Things change when a candidate becomes a potential president, and his wife becomes a potential First Lady. It’s like the pre-sainthood stage before the church is about to confirm your miracles. By March 2012, when Mitt Romney was clearly marching toward the nomination, Ann Romney’s love of dressage had evolved from a joke to the grist for a long profile. Attack her, and you kick off a multi-news-cyle umbrage-fest. I guess this must be frustrating for liberals who think it’s unfair for wealthy Republicans to present themselves as jess’ folks as they campaign for supply-side tax cuts. Campaigns are unfair, guys. Correction, April 12, 2012: This post previously misspelled Hilary Rosen’s first name.